Looking for our Modern Wall Lights, Designer Sconces and Wall Light Fixtures? Browse wall mounted lamps for bedside reading, reading lights, swing arm wall lamps, glass sconces and stylish mid-century modern wall fixtures. Stardust is the leading source for modern wall lamps and offers a unique wall lighting selection of modern and contemporary designer lights such as designer wall sconces, Italian wall light fixtures and wall lamps. 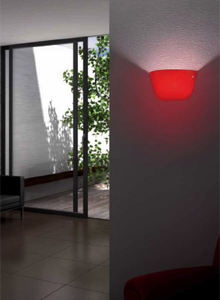 Discover the wall sconce lighting design that works best for your home. Stardust offers stylish wall sconces for any home or office. Modern wall sconces, wall lamps, spotlights, wall lighting & reading lights at Stardust. Free Shipping on the largest selection of high-quality uniquely modern wall sconces and contemporary modern wall lighting fixtures to fit your home or office. 1000's uniquely modern wall lamps and contemporary modern pendant light fixtures to complement any space including bathroom vanity lighting, bedside reading lights, foyer wall sconce light and living room wall lamps. We carry a huge selection of the best modern design sconces on sale by the leading European design brands such as Artemide, Flos, FontanaArte, Ingo Maurer, Kartell, Leucos, Luceplan, Martinelli Luce, Modernica, Moooi, Verpan, Viso and more. Browse a wide assortment of wall lamp styles from ultra modern, contemporary to mid-century modern and anything in between. A beautiful wall/ceiling lamp can provide the perfect finishing touch to any interior with a minimum amount of effort. 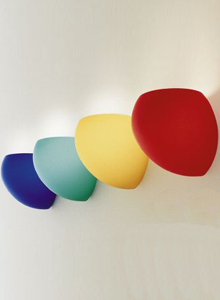 We have contemporary modern wall lights fit for any task in all sizes, shapes and colors. Light up your hallway, bedroom or bathroom with wall sconces and wall lights. For a stylish selection of attractively designed wall light fixtures, sconces & lights, shop Stardust and receive Free Shipping and a 110% Low Price Match Guarantee.